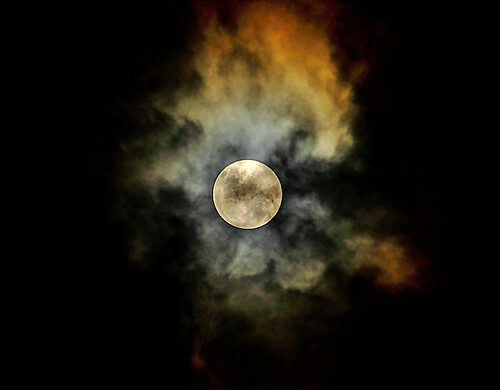 Gazing up at the Full Moon this evening in Central London, I noticed the strong corona as light, high clouds wafted across its face. Later in Outer London, I looked up again, and saw the Moon Ring was wider, and perhaps more brown. I saw a man eating an apple on the train platform who also looked up. The anti-science mob just jumped up and down and yelled at it, calling it “global cooling”, but that’s what you’d expect from a one-dimensional crowd trying to “snow job” the truth about Global Warming. The scandal of the Media puff-and-guff affair known as Climategate looks set to have one lasting effect – extreme reticence to talk to the Press on the part of Climate Change Scientists. Stolen and maliciously-interpreted electronic mail did not betray corruption at Ivory Climate Science Towers; nor provide evidence of professional misconduct; nor give wings to the narrative that the world’s scientific academies were all in cahoots to deceive, fabricate or create any kind of unwarranted slant on Climate Change. I wrote to the University of East Anglia’s (UEA) Climatic Research Unit (CRU) to convey my felicitations that Professor Phil Jones has been fully reinstated with no dishonour after his token “stepping aside” as the Climategate invective heatwave started rolling off the (virtual) printing presses. Phil Jones – untarnished, innocent, heroic. Clean as a recently, cleanly, cleaned clean whistle. The Media are beside themselves. No longer do they have a public victim to hold up, for us to mourn. No longer can they build the case for Phil Jones as scapegoat. No longer than they dangle Phil Jones out over the evil toothy fishes from the end of the sweating, shaking, rickety gang plank. I still cannot get my head around exactly why we need a House of Commons Inquiry into the “goings-on” at the Climatic Research Unit (CRU) at the University of East Anglia (UEA). 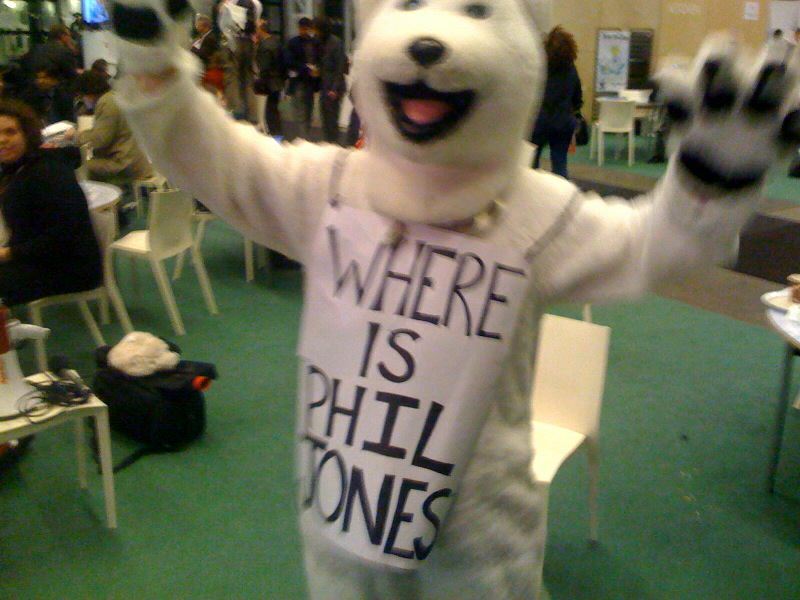 It’s not as if Professor Phil Jones has done anything wrong. In fact, he’s been behaving like any other productive and fruitful researcher, getting on with the work and trying to brush off unhelpful distractions, including a deliberate smear campaign. Like several commentators, I am picking out a trend in Internet communications that indicates that there is a tribe of “doubt believers” out there, proselytising for their cause : bringing down the Science of Climate Change. These evangelists often write and reply to web posts with statements of alarmingly high confidence levels, assuming authority they cannot possibly claim, sometimes using anonymity to cloak their network connections. Is the Institute of Physics “prestigious” ? Well, of course, they are highly honoured, and have prestige, but I’m talking about the other meaning, of a sense of cunning, that lingers on in the French word for conjurer or magician : prestidigitateur : the speed of thinking gives capacity to move the fingers almost undetectably to create an illusion. Several commentators have remarked on the similarity between the Institute of Physics submission to the Science and Technology Committee on “Climategate” and the arguments of several noted Climate Change sceptics. Fred Pearce quotes the withering “coruscating” evidence submitted by one or more members of the Energy sub-group of the Institute of Physics, and demands us to accept that it is adequate commentary on Phil Jones’ behaviour (behaviour that we don’t accurately know, but has been described to us by people misinterpreting his e-mails, which were stolen).